Phineas and Ferb: Is the Disney Animated Series Over? Cartoon Brew has an interesting article regarding the hiatus and possible end of Disney’s Phineas and Ferb series. According to the Animation Guild’s blog, the series’ artists have moved on to other projects or are looking for other work. The artists say that the show is wrapping up. Whether the show is finished for good or not is unknown. What isn’t being disputed is the fact that production has shut down and there’s no set date for it to resume. Though the show is on “indefinite hiatus,” series writer and storyboard artist Aliki Theofilopoulos tweeted that “There are enough episodes and specials to fill the air for some time”. What do you think? Are you a fan of Phineas and Ferb? Would you like to see the show continue for many more seasons or is it time to end it? 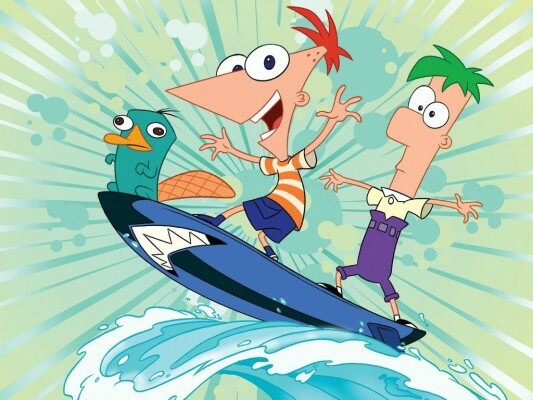 More about: Phineas and Ferb, Phineas and Ferb: canceled or renewed?